I realize that I have a weakness as a critic. At least so far as my blog posts have been throughout my website’s existence. The weakness is simply this: If I like everything in the noir genre then what good am I to my audience as a critic? 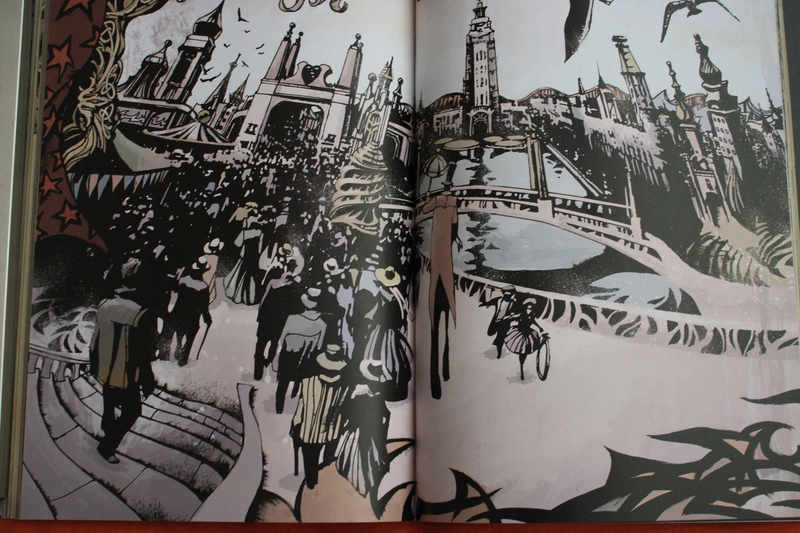 The noir comic Luna Park by Kevin Baker and Danijel Zezelj is helping me to remedy this overly positive oversight. In my opinion this graphic novel has been given way too much hype and acclaim for its contents. Not only was the story convoluted and confusing, the entire plot concluded with a whimper.I will defend my position, but first let me comment on the good stuff. 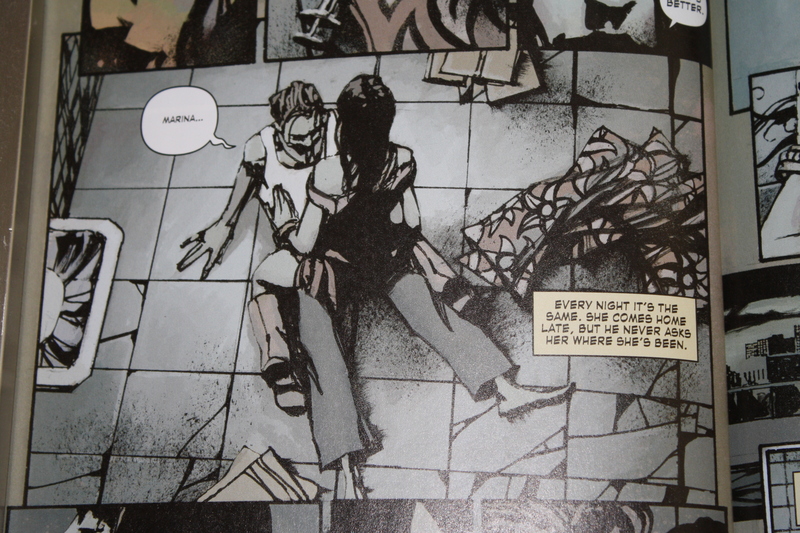 Danijel Zezelj‘s artwork in this noir comic is astounding. Surprised? So was I. The grittiness of his pencil work gives the characters a noir depth and definition that is possibly unmatched in the genre. Simultaneously the backgrounds, settings, and vistas are picturesque and unforgettable. Literally frameable quality on nearly every page. Danijel also did some work recently in Scalped volume 7, I’ll review it later and hopefully share some pics of his fabulous work on the rez. 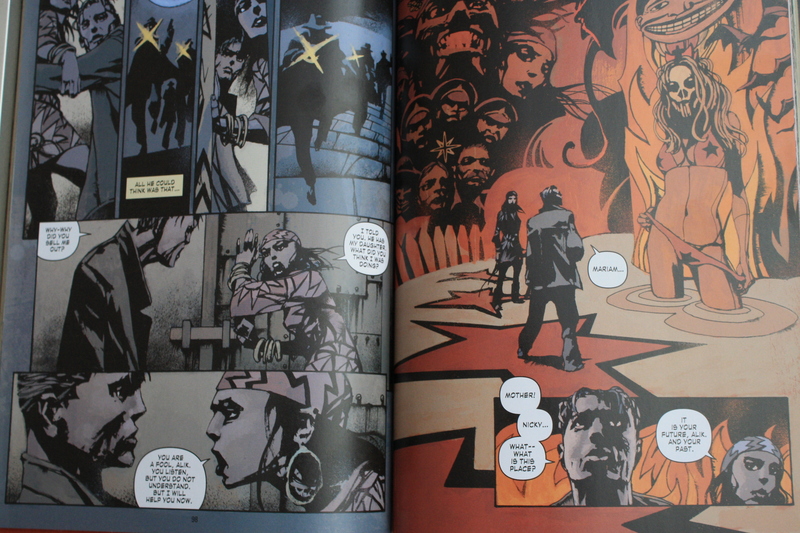 His art in Luna Park is the only redeeming grace of this noir comic. What I will give Mr. Baker is that his tale has a strong beginning. Alik Strovitch, a washed up Russian immigrant and hired muscle of crime-boss Nicky D., eeks out a living on Coney Island bullying prostitutes and intimidating business owners. The first thirty pages put us smack dab in the pursuit of the American dream with the beautiful gypsy femme fatale Marina gripping us by the short hairs. Alik made us hope for his dreams of leaving his crime and drug-centric lifestyle behind and sharing his future with his muse. Then he learned of her hostage love-child, and how it shackled her to the dark East Coast indefinitely. His dreams could never be. Then Luna Park got weird. Kevin Baker began to introduce historical characters and situations from the Mother Country, and implied that these individuals were respectively Alik and Marina. More historical characters, more implication; add a dose of time travel, Alice in Wonderland, and and some WWII stuff and you have the rest of the story. Perhaps I’m an idiot and just didn’t get it, but I felt like he was grasping for something that wasn’t there. By the last page, I was relieved when this noir comic was over. Wired Magazine was quoted on the back cover and they called his book a “crime-travel” comic. I hope that any future “crime-travel” authors execute their noir comics in a less confusing way. I would frame this. So whimsical. 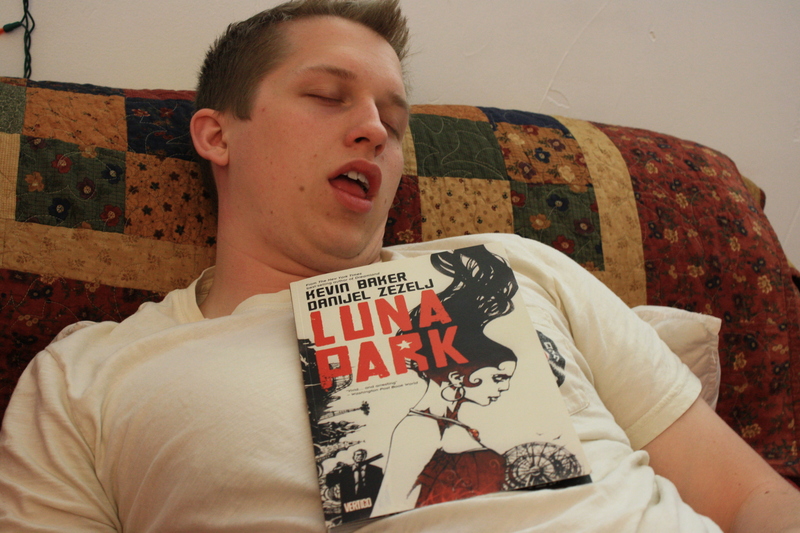 I bought my copy of the noir comic Luna Park from Amazon.com. I took these pictures myself using my wife’s camera, I really need a scanner. Tomorrow I make my big Criminal announcement…. Interesting. I have had my eye on this book and thought about picking it up before. Thanks for the review. Have you read any of the Bendis/Maleev Daredevil run? It’s very dark and noir. I think you would actually like it.